Neil Diamond had a song in 1979 (by the way, what a great year to graduate from high school) called Forever in Blue Jeans. That's how I feel right now, forever in blue jeans. 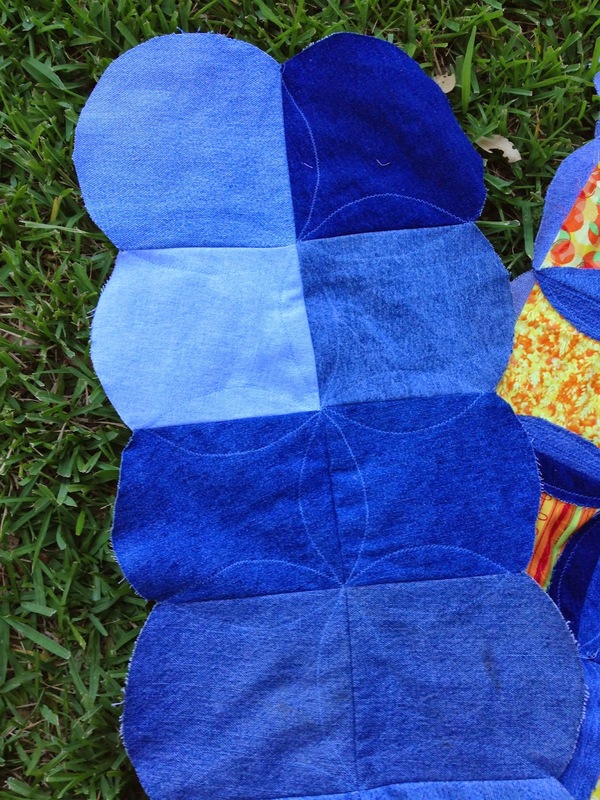 I don't think I'll ever get these quilts finished. 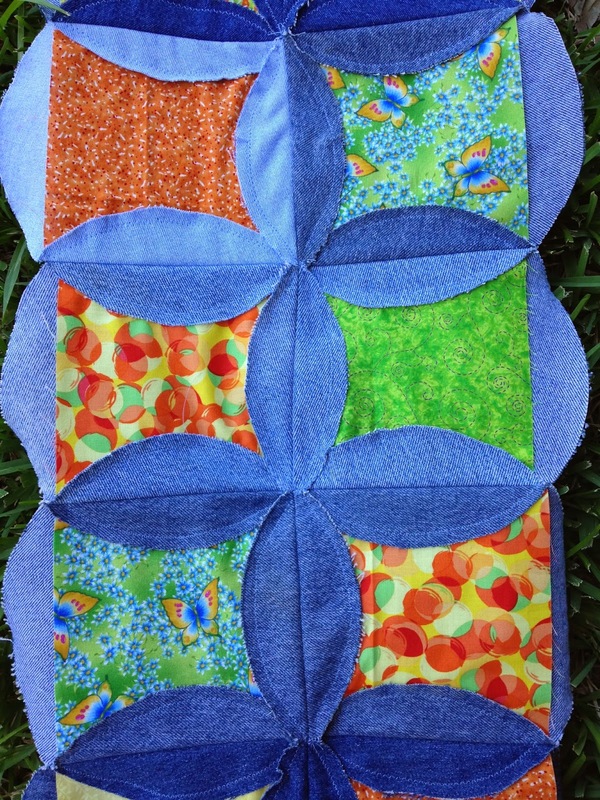 Here's my progress on quilt #2. I'm calling it "Citrus Peel". My customer requested yellows, greens, and red/oranges. I had a few prints in my stash but I had to buy the remainder. I really like how this is turning out. 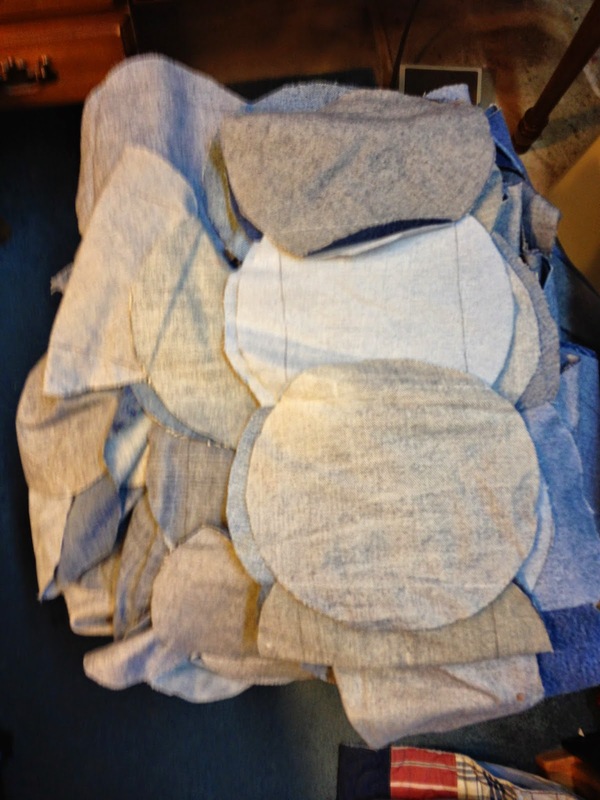 I wasn't so sure when I was sewing all these denim circles together. I'm pretty sure I had the Denim Blues! 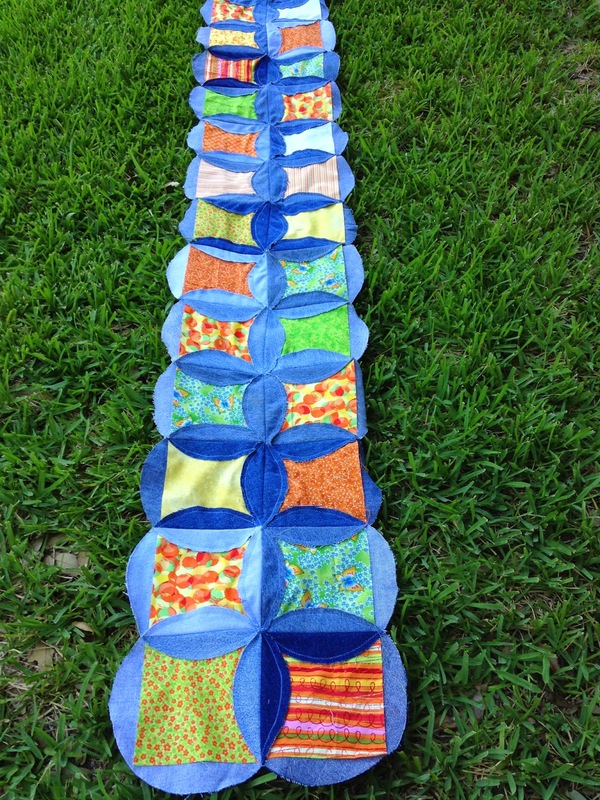 But here are two rows sewn together. I'm loving it! Don't you think it reminds of if Citrus something. And a modified orange peel pattern makes it Citrus Peel! This is how the back will look finished. I have quilt #1 pieced and is ready to quilt. I even have the binding cut for it too.